Atlanta cosmetic dentist Dr. Debra Gray King is a graduate of the University of Tennessee at Memphis Dental School. She is a graduate of post-graduate programs at the Pankey Institute, the Pacific Aesthetic Continuum (PAC-Live) at the University of the Pacific in San Francisco, The Hornbrook Group and the Las Vegas Institute for Advanced Dental Studies. Dr. King is presently a clinical instructor of full-mouth reconstruction with the Aesthetic Masters program and has lectured extensively at educational seminars throughout the country. She is one of only a few dentists in the world to be Accredited and achieve Fellowship status with the American Academy of Cosmetic Dentistry (AACD), which is recognized as the highest level of competence in cosmetic dentistry. 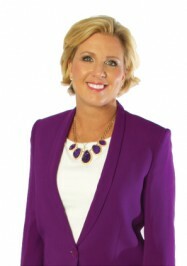 Dr. King has been featured as an expert on dental trends extensively in the media including CBS, CNN, The Wall Street Journal, Time Magazine, Fox News, InStyle, Vogue, Glamour, USA Today, and UK’s The Guardian, and she was featured in the before and after gallery on Consumer Guide to Dentistry. This consumer resource provides comprehensive information about numerous dental topics, including braces, veneers, TMJ, teeth whitening, and dentures. Dr. Charles C. Cooper focuses on functional-appearance related conditions and cosmetic solutions for those patients seeking total oral health. He received a B.A. with honors in Science Education at Mississippi State University, a Doctor of Medical Dentistry degree at the University of Mississippi School of Dentistry, and performed a General Practice Residency Program at the Medical College of Georgia School of Dentistry. 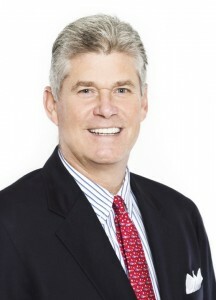 While furthering his knowledge of dentistry through hundreds of hours of continuing education classes, he has lectured in not only the dental field but was selected as a presenter at the coveted Georgia Oglethorpe Awards Session, which is Georgia’s highest level of recognition for organizational performance excellence. Dr. Cooper is an Accredited Member of the American Academy of Cosmetic Dentistry (AACD), a member of the Academy of General Dentistry, the Georgia Dental Association, the Georgia Academy of Cosmetic Dentistry and the American Dental Association. He studied at the world famous Las Vegas Institute for Advanced Dental Studies. He is a regular participant in the “Give Back A Smile” Program in which he and his office donate their time and skills to help battered women achieve a new smile. Since 2000, Dr. Cooper has been the official dentist of the Atlanta Falcons Cheerleaders. Together Dr. Cooper and the Cheerleaders have participated in several charity events, including the Atlanta Charity Clays which has raised over 3 million dollars for Children’s Charities of Atlanta. Dr. Cooper enjoys spending time with his family especially in the outdoors. Other interests include Golf, Tennis, Hunting and coaching Youth Football. 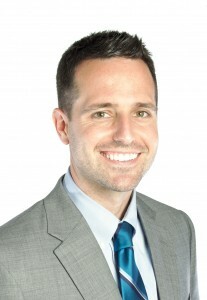 Dr. Brett C. Reeve joined the ACCD practice in 2014. He earned a B.A. with honors from Brigham Young University where he combined his studies of Pre-Dentistry and Spanish. He then went on to study Dentistry at the University of Southern California where he earned a membership to the Honor Dental Society “Omicron Kappa Upsilon”. In 1999, he served a two year mission to Guayaquil Ecuador for his church. It was there that he became fluent in the Spanish language. During his time spent in Ecuador, Dr. Reeve realized he wanted to pursue a career path that allowed him opportunities to continue serving people on a daily basis while utilizing his artistic skills. Dr. Reeve is not new to the field of Cosmetic Dentistry. Since dental school Dr. Reeve has earned hundreds of hours of continuing education. He has completed courses in endodontics, prosthodontics, periodontics, operative dentistry, and of course, Cosmetic Dentistry. Dr. Reeve is aMember of the American Academy of Cosmetic Dentistry, the American Dental Association, and the Georgia Dental Association. In addition to his professional and educational pursuits, Dr. Reeve enjoys family time with his Georgia-born wife and their three children. He also continues his love for sports participating in local softball and basketball leagues and coaching his kids’ soccer teams. Dr. Reeve is affiliated with the Boy Scouts of America serving as a local scout master. Dr. Ronald A. Feinman is no stranger to the field of cosmetic dentistry. He is proud to be a Founding and Accredited Member of the American Academy of Cosmetic Dentistry (AACD) and visiting Scientist at the Hebrew University School of Dental Medicine in Jerusalem, Israel. 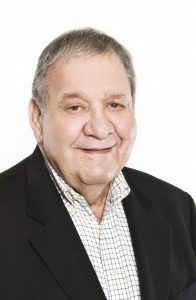 Dr. Feinman has also formerly held teaching positions at six universities, including one as a special lecturer in Esthetic Dentistry at Emory University School of Dentistry in Atlanta, Georgia. He has authored and co-authored two textbooks, published numerous articles, and lectured throughout the world on the subjects of esthetics, dental products and operative dentistry. As a Clinical Research Evaluator, as well as being on the board of Reality and Practical Periodontics and Aesthetics, Dr. Feinman has, throughout the years, been involved with the development and testing of many of the products which we use today. Dr. Feinman has been a spokesperson for cosmetic dentistry throughout the years, frequently appearing on CNN, WSB and WAGA, speaking as the resident expert on cosmetic dentistry and other dental topics.